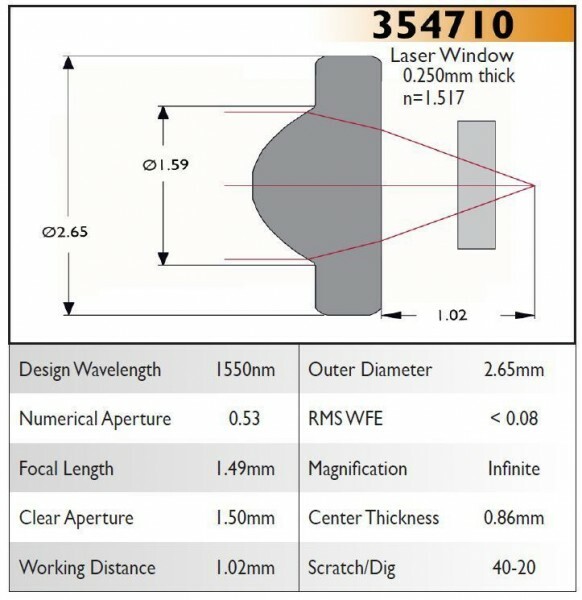 Product information "354710C Aspheric Lens, EFL 1.49, NA 0.53, CA 1.50, OD 2.65, C Coating"
Recommended for new designs, replaces the following lenses 350710 Primary application: Laser Diode Collimating. Need this device uncoated, mounted or customized? Please call us. Related links to "354710C Aspheric Lens, EFL 1.49, NA 0.53, CA 1.50, OD 2.65, C Coating"
Customer evaluation for "354710C Aspheric Lens, EFL 1.49, NA 0.53, CA 1.50, OD 2.65, C Coating"